Cozy villa Tawan with 3 bedrooms, private pool and projector screen is located in managed secure villa complex 300 m from Ban Tai beach. It is rare to come across a holiday residence that has everything going for it, but the 7 en-suite bedroom Bangrak Beachfront Villa fits this bill. Located on the North Coast of the island at Mae Nam, we have this lovely 2-bedroom villa, sleeping 4 people, and situated in a countryside location. 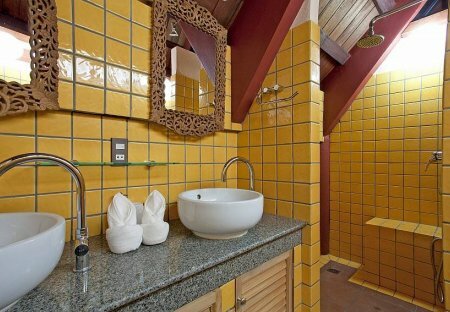 This Asian-style villa with a sizable garden is just a few hundred meters away from a lovely beach. 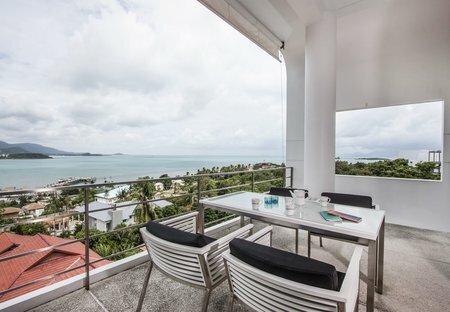 Endless sea views and the perfect blend of modern elegance with Thai tradition await you at Summitra Villa 4-Bedroom. With the ultimate holiday location, just 20-meters from Plai Laem beach, this luxury 3-bedroom villa is situated in a beachside resort on the north coast of Koh Samui. Situated a 10-minte drive from the village of Nathon in a mid-western Koh Samui location, this 6-bedroom luxury villa sleeps up to 12 people and offers one of the most awe-inspiring interior design. Showcasing gorgeous sea views from the steep hill it is nestled on, Villa Werona represents a successful marriage between modern design and Thai-style artwork. This stunning beachfront villa is situated on the north coast of Koh Samui, just 20 meters from Plai Laem Beach in a prime holiday area.